In this first book of the Adele Bonny Adventures trilogy, protagonist Adele Bonny begins as a self-satisfied woman in a happy marriage and a glamorous lifestyle in the Caribbean playground of the rich. But all is not what it seems. First the husband's infidelity comes to light; next his theft not only of her lovingly-restored boat, but of the family fortune she inherited. Just in time, Adele begins to hear a voice in her head, which she discovers is that of her famous female pirate ancestor, Great Aunt Anne Bonny. Part conscience, part mentor, Anne provides just the goad Adele needs to take back what's rightfully hers. She now has just thirty days to track down a ruthless group of murdering mercenaries and her family's own pirate treasure. While drawing survival tips from her long-lost pirate relative, Adele also connects with two other co-adventurers. One is the eccentric owner of Pirate's Plunder, pirate loot retriever. The other is a vibrantly masculine adventurer with whom she strikes up a hot romance, but whose military background she can't confirm. Is he part of the solution . . . or part of the problem? 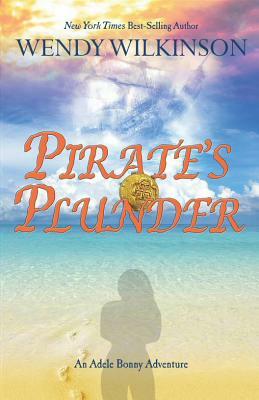 During this dangerous adventure on the high seas, Adele begins to find not only her family treasure, but also her true self.